Cargo ships also sound useful. This expansion will be huge. Easily the biggest one we've done yet (bigger than Crusade). I hate having to get the announcement down to 400 words or so. It's torture! I'm just shocked. My only small disappointment is lack of playable Korx. Wait a sec, if I remember correctly the Drath shipset was added to the game back with Altarian Prophecies DLC. That means this expansion will rework it or replace it with a completely new one (maybe with new parts)? These artifacts, are they an expansion on the idea of the Precursor relics from the Lost Treasures DLC? Also, a lil clarification for us here: Cargo Ships will be just Freighter with a different role or an entire new class of ships? While I like the main points of this expansion. I am wondering if this expansion will be fixing any of the issues with multiplayer instability? And if not will you be planning on fixing it up so that a playthrough no longer ends with a crash. Since sadly that is the main issue that my friend and I have had. The game either crashes at the host's 2nd turn, or on the host's 2nd turn we find that it is impossible to continue without restarting from our last auto save. And that usually fixes that, however it does not deal with the later crash that happens much later in the game. Although to be fair we haven't been able to even get that far recently as the multiplayer game would crash as soon as the game loaded right into the galaxy map. I honestly feel that dealing with these quality of life issues will help a great deal with the game and its replay-ability, as well as help keeping new players interested. Since from what I've read many new players just loose interest after they realize how unstable the multiplayer is especially when the playthrough that they have been doing with their friends ends up wasted time when the game reaches a point where it just crashes. I'm under the impression that it'll be something you build at ship yards and send to planets. Convert ship production to a one time boost to social production. Maybe 50 points of ship production converts to 50 points of social production. It could be 100, 200 or some other number of ship production to 50 points of social production (for balance reasons). I'm under the impression that they will be like how constructors used to be in regards to starbases. You used to upgrade your starbase by sending ships with constructor modules to starbases, and each constructor module would be used to add or upgrade a starbase module. Of course, the advantage I'm expecting is the ability to build these cargo ships at worlds that are already developed, or have high production, and send them to worlds that are underdeveloped, or are short on production. You use the cargo ships to develop your worlds. I could be wrong though. In that case, I would strongly insist that stardock change what they're going to do and do my impression instead. Its right there in the screenshot. "Delivers emergancy Military Construction to the Shipyard of it's destination planet." "Delivers emergancy Social Construction to the colony of it's destination planet." From the screenshot, it looks like it will be an ordinary Cargo Hull with an additional module that does X upon arrival at X destination. I'd be interested to hear if you plan on updating/revising the battle mechanics at all? The role system is kinda moot/pointless as are certain tactical components (guardian drones). If you're revamping the whole tech tree, it would seem an opportune time to ensure that what we research matters. I think they will, not sure thought if it will be included in this expansion. Would be awesome if it was. I believe the combat in the game could be improved on as well. Because the combat was basically the same as galciv 2 I waited until Intrigue to buy this game, because I didn't really like the combat in 2 but only after having played other space strategy games. Other than the randomness of the defences, it makes no sense only one fleet survives and the other one keeps fighting until they are all dead but in 3 I still find it one of the weakest aspects. Is it vital for the game to resolve the combat in one turn? With that I mean wouldn't it open more strategies and tactics if ship combat was only a limited amount of rounds/moves so a losing fleet could fight a series of battle while retreating to a more defensible location or ambush. When I started writing this, the text became longer and longer so I will include this short introduction to the next sections, first I would like to discuss the various weaknesses Galciv3 has compared to it's competition, after that I would like to discuss what I think are the game's strengths. After a long time of barely any space empire management games there are now a lot of them, some even very popular. Some of these games have similar aspects of Galciv2 and Galciv3 some of those are done better in my opinion in newer games. In my opinion these are some of the weaker aspects compared to the competition. 1. Empire creation. 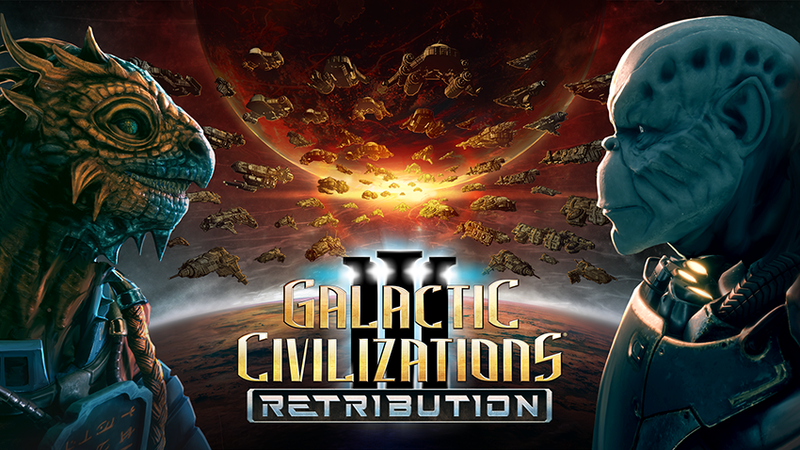 Now there are no 4x games that do this particularly well and while it gets the job done I think galciv has been caught up by the competition on this one. There are a few issues why I consider other games doing this better, firstly it is rather complex and consuming, especially with all the custom dialogue. 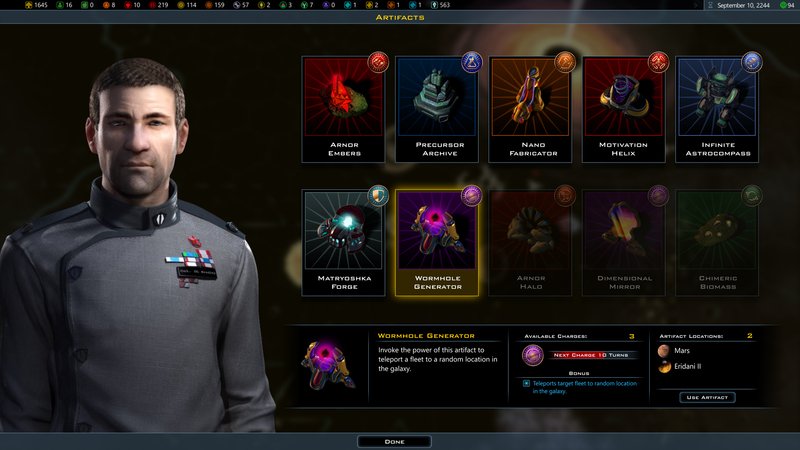 In Stellaris it is super easy and fast to set up a somewhat unique space empire it even does the harders part, comming up with a name. The downside to what stellaris has is that dispite looking really cool the empires play rather similarly because you only change some numbers arround. This brings me to my second point, in galciv3 empire creation also barely changes anything on how you need to play. The most impactful choice is choosing what kind of life form you want to be. In this regard Endless Space 2 has the most interesting choises before you start the game namely all the empires play vastly different and require different strategies. The downside of Endless Space 2 is that custom empires us one of the existing ones as a template so you're not really free in your choices. I believe that Galciv3 needs to strike a balance between these two to make empire creation a lot more fun. 2. The Government. I really liked that there is some planning to be done when expanding but the tone is just off. You can suddenly become a kingdom to shift to be a republic 20 or so weeks later. When I picked empire as my first pick I got a really cool event telling me the new emperor ascended to the throne with a little bonus on approval. Pretty neat, but who is this emperor? Last time I checked my leader was DL Bradley. The first time I got the chance to go for a government that allows for more colonies I went for the republic. So that emperor must have gave up his power willingly? This creates a wierd context but I believe this can be solved by making 'upgrade' paths for the various governments with some interlinking chains. You should always be able to go from more democratic to more autoritarian given the right context. This could also be complemented by the party system, why not use election results for active gameplay decisions. 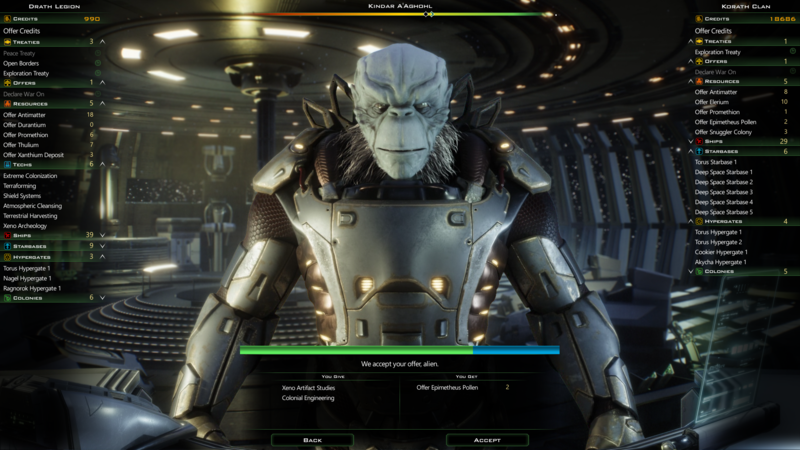 Maybe different parties are vying for power in the senate just like in Endless Space 2 which has a simple but fun political system that reacts on what is happening in the galaxy and the choices you make. This makes your country feel alive, those parties in turn could give you missions so you can choose what election promisses will be fulfilled. For example the war party could insist on developing a new ship, or a new weapon type or maybe they insist on sending your diplomat that's going to negotiations with your neighbour over a border dispute in your latest battleship instead of a personel transport. Maybe when your a kingdom the king wants to review the fleet on the national holiday and you're asked to send a huge part of your fleet to the home world for inspection. These missions could be choosen freely but choosing one and completing one gives a small boost to that faction, some may steer more towards autocracy while others maybe steer more towards democracy. Citizens could also be involved in these mechanics. Every party in the senate could have one specific citizen as leader the ones filling posts in your government could be based on the election result (a big merchant party could possibly result in different merchant bonusses for the different posts, a military coup results in military citizens on those posts). The government officials should also be placed on the map so you can send them to other planets when needed. Maybe the economy on some of your worlds has taken a down turn why not send your minister of financial affairs or maybe a minister of industry or the minister (these could also be missions from parties. The main reason for this is to make context for what is happening, make your empire feel alive and make peaceful times have interesting decisions as well. 3. The Crises/Events. This point has more or less been made in the former one most of these just happen randomly and off the map. This makes them a bit obscure and distant from your empire. 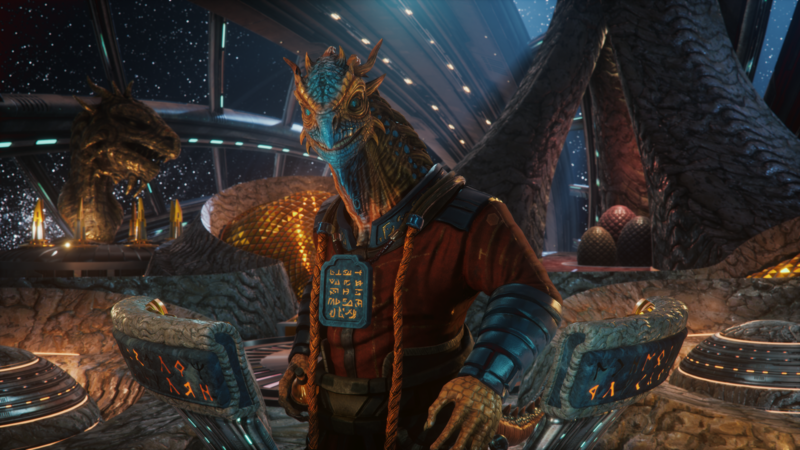 While both stellaris and endless space 2 both have quest and events that actively involve the player. The precursor quest chains in stellaris are really cool and adventurous (the first time). There is also this random quest of a comet crashing on one of your worlds, in stellaris you have to send your fleet to blow it up. Maybe some of these events can be made to happen on the map itself it will involve the player more and the map of these games is what sets them appart from most other space 4x games (I'll elaborate on that later). 4. The combat. This is the main reason I put off on buying this game until Intrigue came out, it's because it is too random. Is it vital for the game to resolve the combat in one turn (this goes for land combat as well)? Wouldn't it be more fun if the combat was designed with series of tactics that your admirals can use leaving you to choose the overarching strategy for the war (defensive/offensive)? I don't think the player should have any direct controle because that would make the game take too long. Battles are often very one sided maybe it should be difficult to communicate to focus fire (could be explaned with cyber warfare/enemy jamming communications). Perhaps the amount of devastation can be attributed to your admiral making a fatal mistake by being having the fleet manouver he choose to be directly countered by his opponent. Your ship design could effect this as well. The different roles can be confusing for new players because escorts and guardians are basically the same, assaults and interceptors are also basically the same. Maybe slim down the different roles to just capitals and screens/escorts. But their actual role might differ because of what position they have in the fleet and/or wing formation. Maybe the modules could be adapted to special battle tactics, like boarding pods, or catapults for your carriers to make your drones close the distance with the enemy in an instant. In my last game I designed a frigate class that was basically one big gun, it was a mass driver with all the range buffs, armour piercing, etc. I saved it as a capital-role but in the battles it appeared on the front line, not really a handy place for a long range glass canon. As for carrier balance, maybe the drones they have could be designed the same way as a legion. Instead of a legion is would represent a carrier air group or CAG you could build a few extra of these so you only need to swap them as your carrier returns to port while the damaged group stays behind to get repairs. One of the post of Brad talked about the removal of some of the special techs maybe they could be taken out the tech tree but assigned to secret labs. Labs build by scientists on dead worlds or an asteroid field you don't need. Maybe there is a dead planet with crystals or elerium that makes for a perfect test site for shields weapons or an asteroid that can be used as a shooting range. If weapons could have multiple "upgrades", perhaps this could give you the choice, should I go for the new weapon in the tech tree or should I try and improve the old one a bit. As for retro fitting ships, refitting them with a remodel of an older weapen could be cheaper than upgrading them with a complete new weapon. So perhaps scrap those ships to just build new ones or sell them to a minor faction. Wars could also do with some logistical elements like maybe armour needs to be repaired and fuctions as a seperate healt bar or missles being really powerful but only limited supply because they take up more space. This could force you to plan when you want to go on campaign on the other side of the galaxy. There could be a mechanic that you need to take supply ships or use your legions to set up temporal supply bases on dead planets just behind the front line or make a deal with a major or minor nation to use their ports/starbases for repairs. The camera is also problematic, it's hard to get a really good view of your ships in battle while this could easily be one of the most fun experiences in the game, seeing your very own designs in action. If the ships should fly slower in more orderly formations to give a better view of what is going on. 1. The ship designer. This one really makes it stand out amoung the competition, you can be infinitely creative with this and seeing your ships on the map is really cool. It has some downsides for me however mostly ui oriented which I posted this in another thread, except for one. When galciv3 was announced I really hoped the designers had taken a look at the designers used in Spore. I was studying mechanical engineering when I first tried spore (years after it was released) and it struck me that it looked like a very rudimentary version of actual design software. There are a lot of parts in the galciv ship designer but most of them could be redundant if there were more options to manipulate individual parts. And secondly in spore you could choose the texture and the colour during the last step of making your design. Wouldn't it be cool if your fleet of veteran ships had a tiger print or some warpaint in galciv3. I highly doubt that this will ever be focus for this edition of the game, change to it is also not really necessary since it's way ahead on the competion at this. 2. The map. While it might eat a ton RAM compared to other games this game choose for a hex boardgame like map. But in my opinion this map is not utilized to it's full potential. There could be lot more enviromental effects that set the stage of the game. Think about it, the geography of earth has to some extend dictated the course of history. The book La Méditerraneé by Fernand Braudel for example was an extensive study of the mediterranean, I wont bother you with the details but one of his findings was that history or time moves at different speeds when studying different objects. Braudel concluded that there are 3 different scales for time when studying history: 1. Long term (geography), 2. mid-long term (business cycle), 3. short term (political decisions, wars, battles). Very interesting but what does this mean? I means that what we see on the surface has been in the making in processes that are slow and hard to notice. This might have become a ridiculously long post, I'm sorry. . 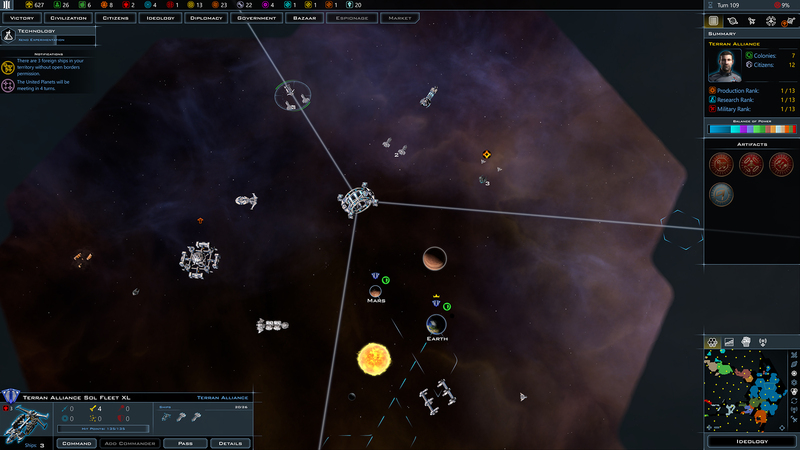 But I believe if galciv wants to keep up with the competition it really needs to focus on it's weaker aspects and even further improve on the parts that already set it appart from it's competitors. 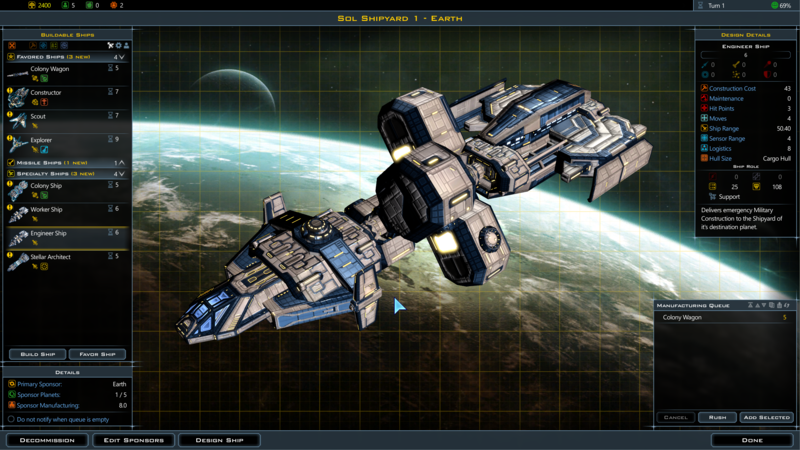 You know, this might be the first time in long while that I've been excited about GalCiv 3 news. I haven't liked many features, updates, or DLC. Things like Administrators, Citizens, Governments, etc are I haven't liked. I'm really hoping that I'll like this new expansion. I think the battle viewer could display things in a more cool/epic/spectacular fashion. I use mainly the "cinematic" view and for some reason stuff like truly dramatic flyby scenes or spectacular views can happen, but do occur not that often. Very often I get views from far away with all ships being tiny which is less interesting IMO, and not what I'd call "cinematic". Some more variety in FX would also be good. The Gfx/FX side is clearly better than GC II, but IMO watching stuff in the battle viewer is not the exactly the most exciting part of the game. Sure the game has much more to offer that just good visuals, which why I love playing it, but improving things can't hurt, as long it doesn't take away from the other content or leads to absurd spec requirements. Let's see what the new XP does in this regard. That said, I do not see the battle viewer as strictly a visual component of the game. I often use it to gauge how my fleets are working. What ship ends up in front, who is shooting at what time, etc. So, if the dev team can make the battle viewer more user-friendly for analysis and prettier at the same time, that'd be awesome. I'm not sure how (or if) the expansion is going to change the combat mechanics or ship roles, but I hope that any mechanics changes are visually obvious in the viewer to keep the viewer relevant (i.e., more than just eye candy). The artist does not work on the other parts of the game, hiring is difficult as quality of work is important. For these reasons, it's a fallacy to assume that by working on visuals, other areas are not being worked on. I understand that, and I wasn't suggesting that the artist(s) would work on programming or writing or anything else. I did not say or assume "that by working on visuals, other areas are not being worked on." I said "I'm content with the visuals generally" and that "I would rather the dev team focus on" other things. I also said while I would enjoy prettier graphics, such graphics would be great coupled with functionality (e.g., usefulness of the battle viewer). So, I politely disagree with your characterization of what I said. As far as your response, I agree that working on visuals does not inherently mean that other areas of the game are not being worked on. But do consider the following: artists cost money as do programmers as do writers as do voice actors, etc. I'm assuming the resources for this expansion are not unlimited; therefore, allocating more budget to art means reducing the percentage of the budget spent on other parts of the game. And I'm fine with that. Also, I'm not denigrating Stardock, because it is, I think, an efficiently run company based on what it accomplishes with the number of people on a given team. Whoever on the dev team is in charge of managing the budget and figuring out how much time and resources to invest in what parts of the game has an unenviable job because, at the end of the day, some people are going to want more of X while others will want more of Y and others more of Z. Pleasing the most people and having a product you can be proud of at the end of the process is a tight-rope act, and I think Stardock does a pretty good job at it. All I was trying to communicate is that for me, personally, I think the game looks good (it could look better, sure), and I'd be okay with more of the budget going to things other than art. My game-play enjoyment is enhanced by the art but founded on other things--and so those other things are what I'm most interested in. But do consider the following: artists cost money as do programmers as do writers as do voice actors, etc. I'm assuming the resources for this expansion are not unlimited; therefore, allocating more budget to art means reducing the percentage of the budget spent on other parts of the game. Good visuals are a selling point as well, not only a cost factor, so they could easily add to the budget (if "only" for future content). In the end it comes all down to what devs and players value having in their games. I'm one of those guys who think games who do well gameplay-wise _and_ visually are possible and worth striving for. I certainly do not think bad about the game's visuals in general, but when it comes to decisions about what to improve all fields should be taken into account IMO, esp. when we're talking about a bigger addon/XP like this one ahead. I agree--great visuals can be a strong selling point. Your "only" is right, though. I assume Stardock projects their estimated (i.e., hoped for) revenues as part of their budgeting process. And I feel that the new cargo ship feature that is coming up can be a far more interesting part of the game by being used to create trade routes, as such each planet would send a cargo ship every few turns to the planet it is connected to which once arrived would give bonuses to said planet. However at the same time these cargo ships could also be intercepted by a pirate or enemy faction that is at war with the owner of the cargo ship. If the cargo ship is destroyed then the killer of the ship gains credits and some sort of resources while at the same time the planet that sent the cargo ship gains a debuff of some sort which would give more incentive to protect your trade routes. I'm sure more can be added. 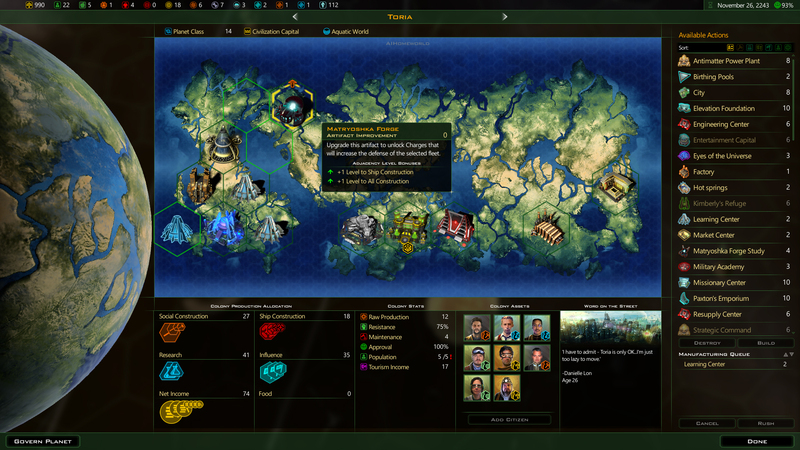 Another bit of annoyance for me is when the AI just declare war even though it has no way to really do anything. Maybe instead of declaring war--it starts to focus more of building up its forces if you piss it up in any way and once its forces are large enough it will finally declare war. That way the AI will then be a true threat. Heck we can go even further with this and have these trade routes between planets be an integral part of a faction's economy. Awesome stuff, winter is too vague. You could just tell us founders when to expect it?